As wedding planners, it is our joy to make your dream wedding a reality. But in order for us to do that, we have to have a very clear understanding of what your dream wedding looks like. 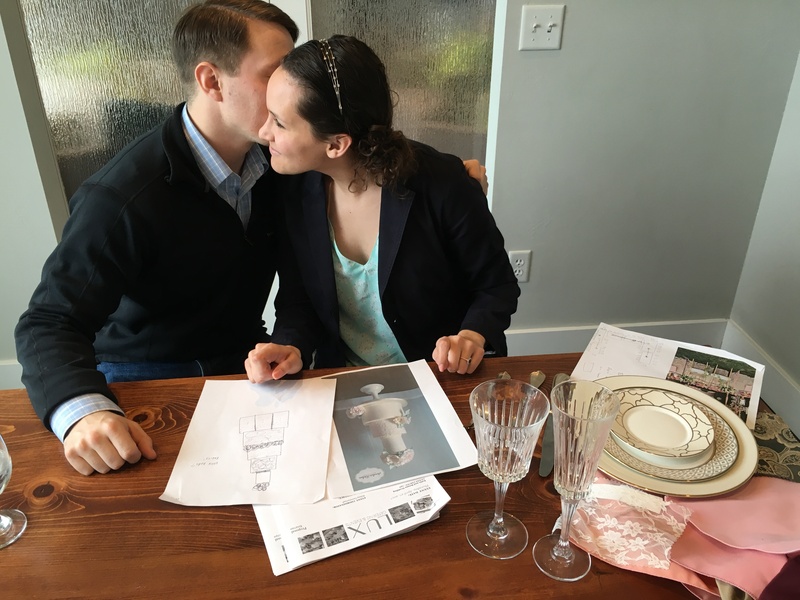 To do this, we schedule a couple consultations with each couple so we can get to know you, your relationship and the special details of your love, your ideas on themes, colors, flowers, food, etc. First things first, always come to your consultation prepared to express the vision you expect of your wedding day. The easiest way to do this is to bring pictures that inspire or capture the essence of what you want. Pinterest is one of the best ways to do this. 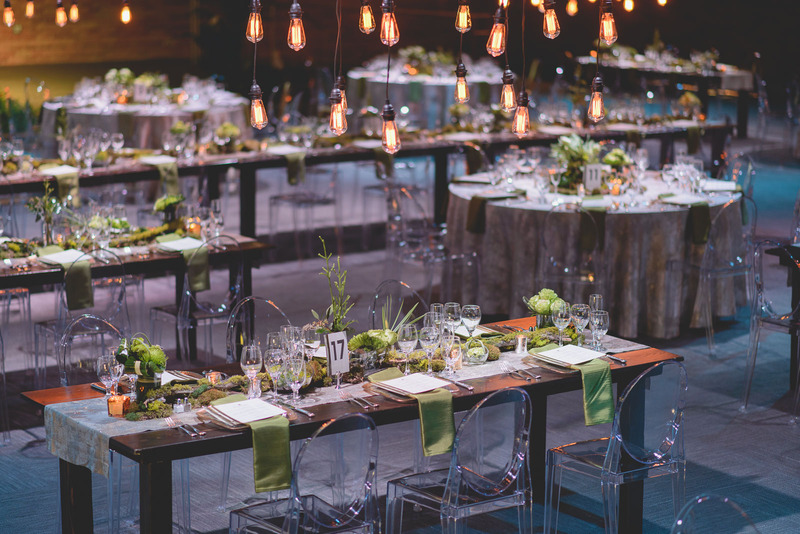 For more ideas on gathering inspiration, read earlier in our wedding journey blog series. Make sure to bring pictures of every part of your wedding that you have expectations on: colors, linens, china, flowers, the wedding cake, and especially food!! 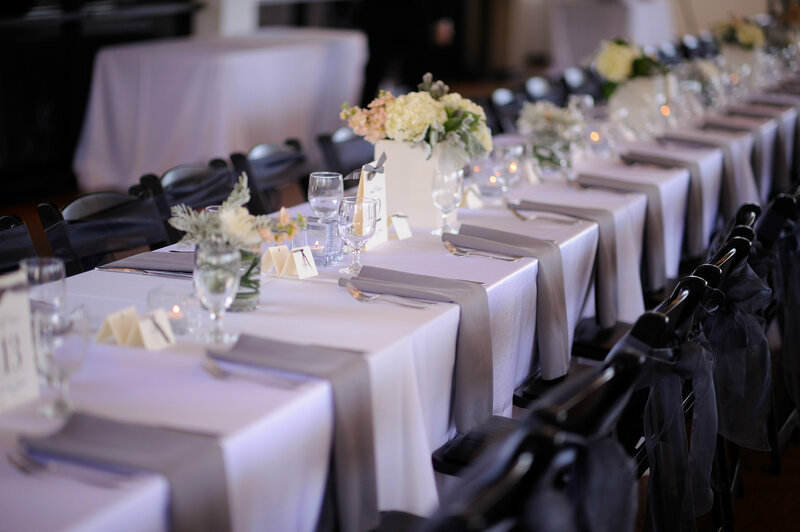 Second, make sure the most important people to the wedding planning process are at your wedding consultation – however, don’t bring too many people. This should really only include 2-4 people: the couple and whoever is paying for the wedding. This may mean only the bride & groom/brides/grooms or it might also include the lovely couple and parents who are paying. Too many people equals too many voices and too often communication and expectations are lost in the confusion or the important elements, like the budget, are left to the wayside. But we still need to make sure and get all the input from all the most important VIPS of the wedding. Finally, expect to see lots of samples! 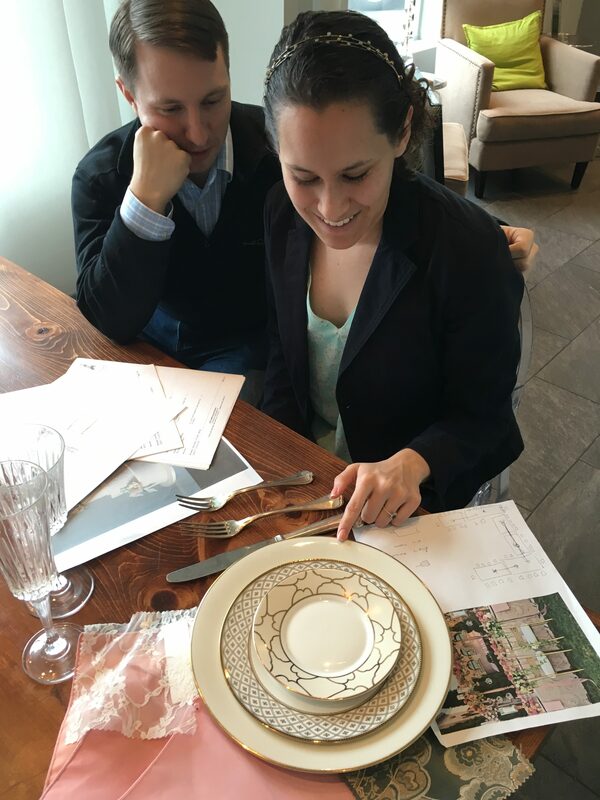 This is the fun part of your first wedding consultation. This is the part where it starts to feel real! 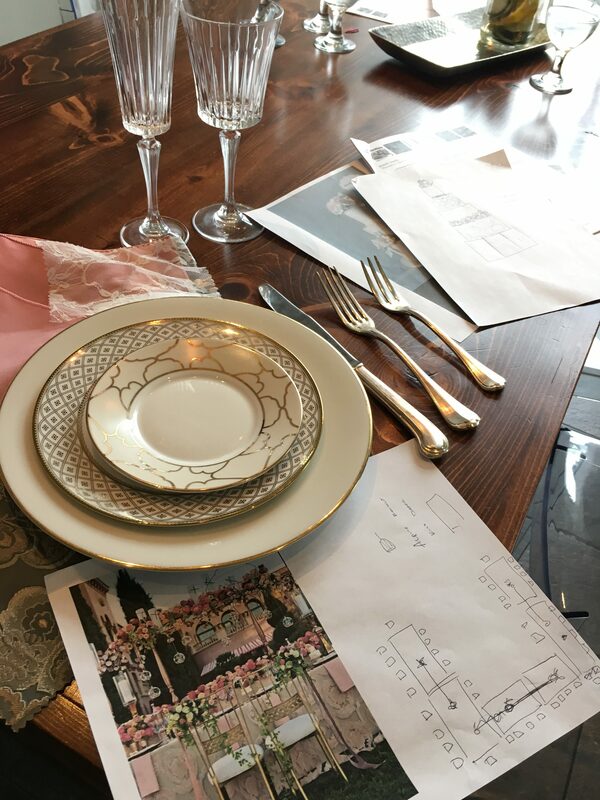 We can show you samples of linens, china, silverware, menus, flower arrangements, etc. For those who are having a hard time deciding on what they want in particular or for those who just can’t imagine what it will look like until they see it in person, this really helps to make the vision start to come alive! 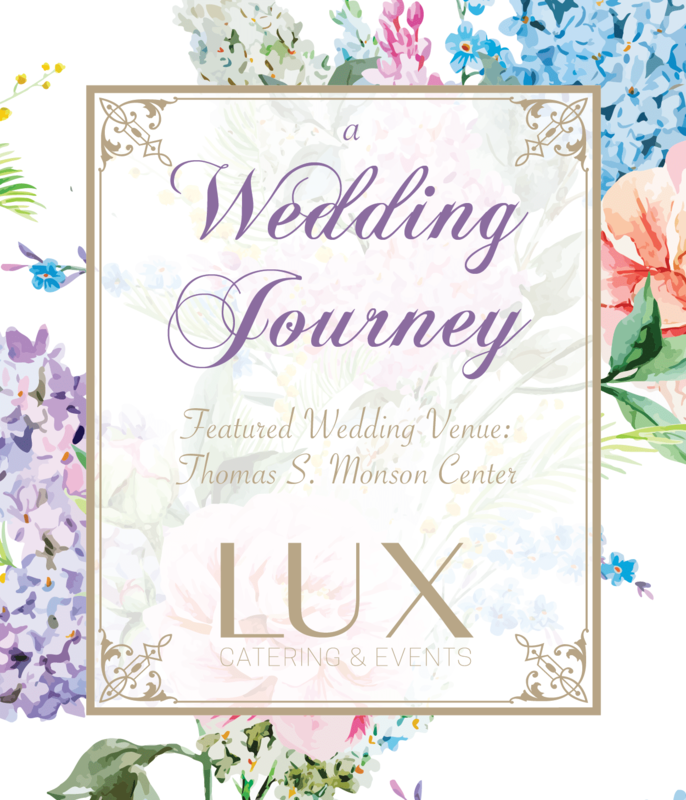 To see another wonderfully themed wedding done by LUX Catering & Event’s amazing wedding planners, check out this Indian themed wedding held at Trolley Square in Salt Lake City, Utah!